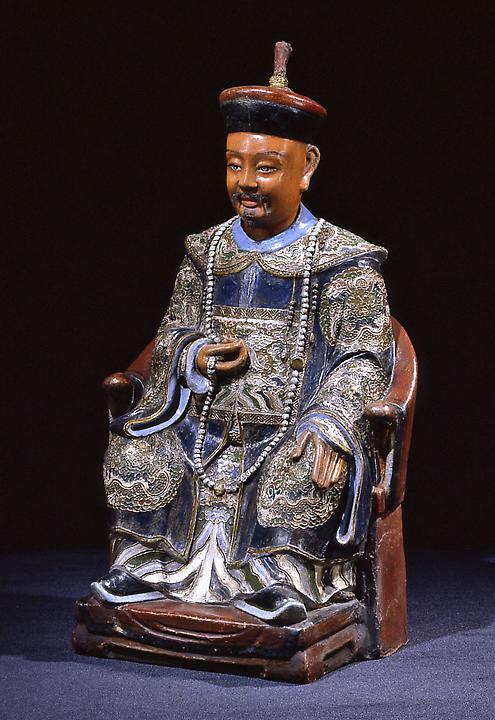 An Impressive Chinese Export Coromandel and Stucco Figure of a Seated Royal Dignitary - Hyde Park Antiques, Ltd. Wearing full court dress, bearing the crane-emblem badge of the first rank; the detachable head with braided head. Restoration to painted surface.